COOKOUTS & TAILGATE ACCESSORIES: Made From 100% Premium FDA-Approved, Non-Toxic, Odorless & Durable Silicone. 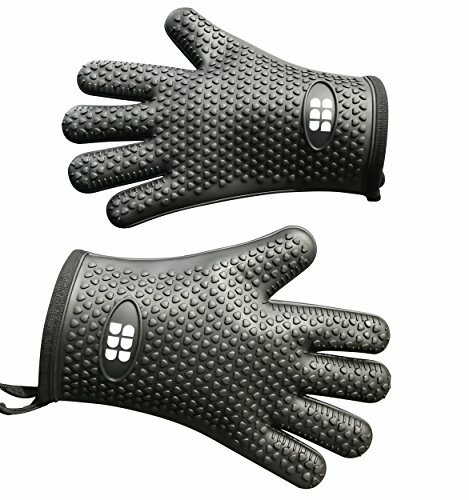 Give Our Heat Resistant Gloves For Grilling As A Gift For Father's Day, Dad Birthday Gifts, For Chefs & Mom. Add it Your Grill Tools Set Or Kit Today. 3 EXCITING COLORS TO CHOOSE FROM: Black, Baby Blue & Red. Collect All 3 Colors. Gift That Special Chef Or Cook. Manufacturer: Survival Brands Distributors Worldwide, Inc. Publisher: Survival Brands Distributors Worldwide, Inc. Studio: Survival Brands Distributors Worldwide, Inc. If you have any questions about this product by SBDW, contact us by completing and submitting the form below. If you are looking for a specif part number, please include it with your message.